Another simple alarm that can be used in your home or even a motel room is to put an empty glass jar upside down on your doorknob. This will fall (and make a loud noise, except on carpet) should someone turn the doorknob. (Warning- the bottle can break leaving glass fragments on the floor). A soda can filled with loose change balanced on the doorknob will make a lot of noise if someone attempts to enter. Windows also easy to trap with cans of change or jars. ​01* In cold or freezing conditions, the worst thing you can do is let yourself get sweaty. He constantly mentions that if you get sweaty, you should let the sweat dry (he mentions this tip in almost every episode). 03* Always carry a good multitool (eg. Leatherman Wave or Swiss Army Explorer Plus). 04* Break wood between two trees to keep from hurting yourself. 05* Cut water-vine in swamps and jungles and place a cup at the opening to collect water. 06* Wipe mud over your skin to protect against mosquitoes. 07* If you catch lean food eat as much of the animal as possible, except the entrails. Certain wild animals have extremely low levels of body fat, which may lead to death by rabbit starvation. 08* To start a fire with a lighter that has no fluid, use a piece of tissue formed into a cone at one end with a ball of sock lint stuffed into the cone to catch the spark that comes off the lighter. 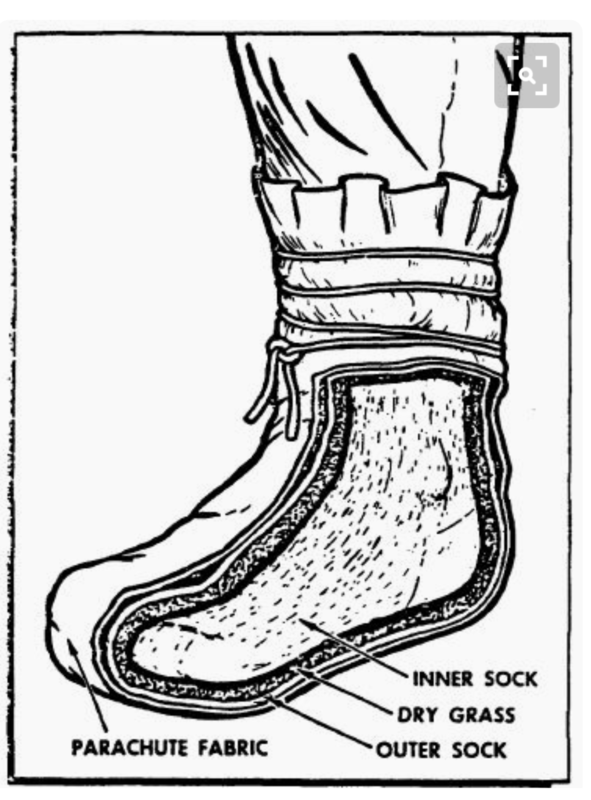 This only works if the socks are manufactured from 100% cotton. He refers to this as a prison match (and tells viewers not to ask him why he knows how to make it). 09* Use a snowmobile seat cover to melt snow in the sunlight. 10* Don’t play the harmonica when polar bears are possibly around because they are attracted to strange noises. 11* Use corn chips to hold a flame in a manner similar to a candle wick. 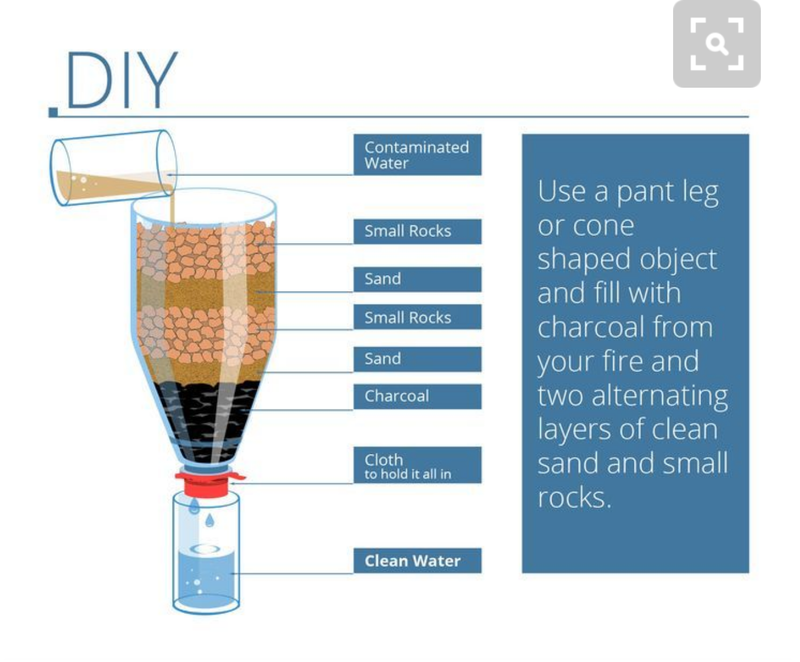 12* Boil water by placing heated rocks in it. This is done when a water container cannot be held directly over a fire. 13* Heat rocks over fire and place them around the body as heating packs while sleeping or resting. 14* Use an emptied coconut shell filled with coconut fibers to carry a smoldering coal. 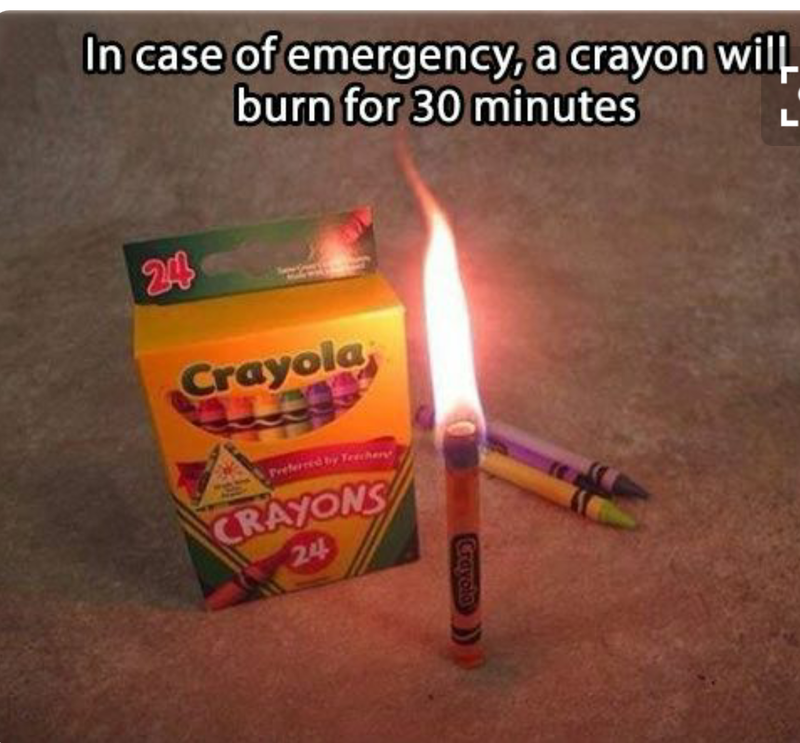 This prevents the need to light another fire from scratch. 15* Use cow dung to keep a fire smoldering while away. This prevents the need to light another fire from scratch. 16* Use the elastic strap from a pair of boxers as a slingshot to fire a fishing spear. 17* Soak the foam cushion of a broken snowmobile in gasoline to use as fire fuel in the Canadian Arctic. 18* Determine the time until sunset by measuring the distance between the sun and horizon, wherein each width of your hand equals one hour. 19* Use moss from the north side of a tree to gain bearings without a compass (though he added that this method, though accurate in his case, is often unreliable). 20* When opening a conch shell, crack the point on the back and scrape out the meat inside. 21* To get fresh water on an island build a solar still by finding a box (or something similar) and put seawater and plants inside, along with a smaller container in the direct center, and cover it tightly with a plastic sheet. Then put a rock in the center of the plastic. The plants will sweat fresh water which will evaporate, condense onto the plastic and drip into the container. 22* Too much coconut milk causes diarrhea. 23* The Five “W’s” of Survival: o Weather: Temperature of the area, know what kind of shelter you need. o Wood: How much wood is around for both fire and shelter. o Wigglies: spiders, scorpions, snakes, anything that can bite you or poison you. o Widowmakers: rocks, trees, large animals, anything that can fall on you or attack you. o Water: Where will you get water, how will you obtain it. 24* Use a potato peeler on thin branches to create very curly wood shavings. These are great for getting very small flames turned into big ones. 27* Set up a trap in the swamp or river bank by sticking wood sticks in a pattern that looks like a square with the top side slightly open in a v-shape , place a bait inside to wait for a turtle or other animals. 28* To create smoke signal, burn damp wood chips over fire. 29* Before sleep pee so your body isn’t trying to keep the water inside you warm. 30* Eat Something before you sleep helps insides get warmer. You are currently browsing the archives for the end of the world survival category.